If a band wants to stay relevant longer than two decades, they are going to have to be a part of that elusive group of artists that can redefine themselves without losing themselves. Spoon settled into that title with ease some years back with the stable hand of frontman Britt Daniel steering the band’s vision. They found their new voice when they went from rising potential to having the ability to take minimalist hooks and an “atom bombs and blunt razors” attitude and turn it into rock n’ roll’s new underdog lifestyle in 2002 when Kill The Moonlight came out. They came out even more dedicated to romanticizing the beast that is rock n’ roll on Gimme Fiction in 2005. They swam around in that pool of catchy, outsider grunge that they’d discovered through their next two projects: Ga Ga Ga Ga Ga and Transference. They fine-tuned the music so meticulously that the band took four years off to work on separate projects to gather more energy for their next project together. 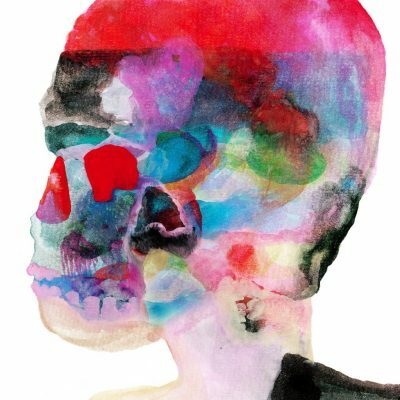 When they finally came back with the album They Want My Soul in 2014, Daniel brought in Dave Fridmann to produce, and this combined with Spoon’s time apart changed its tune once more. Fridmann has worked for bands from Flaming Lips to Tame Impala with a onetime Miley Cyrus album thrown in. His pop sensibilities helped produce a sound that carried into his second project with Spoon, their ninth and most recent album, Hot Thoughts. While it’s not the sound you’d hear splashing out of the same pubs they started their career in, the music is unmistakably professional. The textures they manage to pull out of the keyboard create this heady space around the band, which seems fitting to the album’s title. Most of the songs let go of their signature minimalism a little, but it never sounds overcrowded. “Do I Have To Talk You Into It” is the closest they get to nostalgic, with Daniel’s voice sounding more emotionally raw than he allows himself to be on the rest. But on a song like “Pink Up,” where the rhythm sounds the way a tropical sunset feels on your skin, the light of the sun fades in a way that captures its beauty far better than it could be recognized at full blast. Backup vocals glide in and out like waves of warm water on a black-sand beach. Following right after, the second single dropped from the album, “Can I Sit Next To You,” comes in with a strong radio-pop beat that eventually glides into this impossibly catchy Middle Eastern riff that will quite literally take over the muscles in your neck and feet and have them moving in time with the beat before you get the chance to snap yourself out of the trance.